Are you thinking about getting dentures? Perhaps you have discovered that it is the best way to deal with your current dental health issues. It is a common type of restorative dentistry, and it could be a good solution if you are missing some or all your teeth. However, you should take time to read through the dentures FAQs to get a better understanding of what you can expect from them. 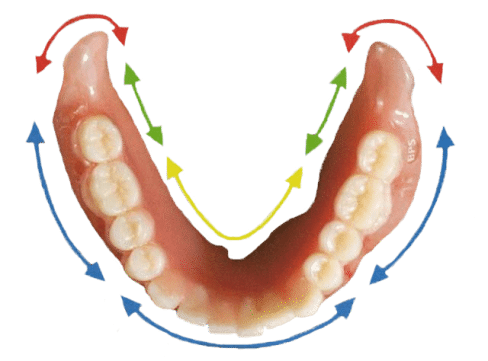 How Do Dentures WorK ? Depending on the quality of the cosmetic dentures, they will typically need to be replaced every five to 8 years. The fit of dentures changes over the years as a patients jaw bone shrinks. Since it is normal for your mouth to change and false teeth to wear down, have them checked during a yearly dental visit. Upper dentures are usually kept in place by suction, but lower dentures are designed to fit the gums and muscles, which can make them less secure and harder to wear. Good quality dentures with specifically designed help lower dentures to fit the wearer better – securely and more comfortably. When Do my Dentures Need Attention ? When do my dentures need attention? When your chin sticks out and the corners of your lips are constantly wet and sore. Why Do False Teeth Lose Their Fit ? In many cases, the pressure of dentures on the tissues cause the gums to get "flabby" and bone to shrink over time. When this occurs, the dentures become loose and awkward even when adhesives are applied, much like the way clothes become baggy when one loses weight, and this causes more bone loss and gum problems. With dental implants, bone loss as well as gum erosion are slowed. 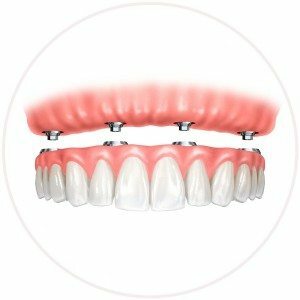 Unlike dentures, which put pressure and stress on top of the gums and jaw bone, dental implants are surrounded by bone and the chewing forces transfer pressures into the bone, much like teeth do. This actually can strengthen the bone and increase bone density, reducing the bone shrinkage seen regularly from dentures. As false teeth are tailor-made to fit your mouth, they should not hurt. They do take some getting used to and may feel a bit uncomfortable during the first few months as your gums and jawbone adjust to their new shape (if you had some teeth extracted before getting your dentures fitted). Once this period has passed, you may need to have your dentures relined or remade to fit the permanent shape of your gums. Can Denture Look Natural ? Partial dentures should be able to blend in seamlessly with the rest of the teeth whilst full dentures should look like a great smile and never look false! At Lane Ends Dental Practice , Our cosmetic dentists take great care to select the right mould and shape of tooth to give the most natural appearance possible. The teeth are tried in wax first so that we have a chance to move them around and change them as we please. Once everyone is happy that the smile is exactly as they want it, the finished denture is created. What Are BPS Dentures ? It stands for Biofunctional Prosthetic System, which consists of professional, top-of-the-line products from Ivoclar Vivadent. These precision dentures are able to closely reflect a variety of natural tooth shapes for a more genuine natural smile. 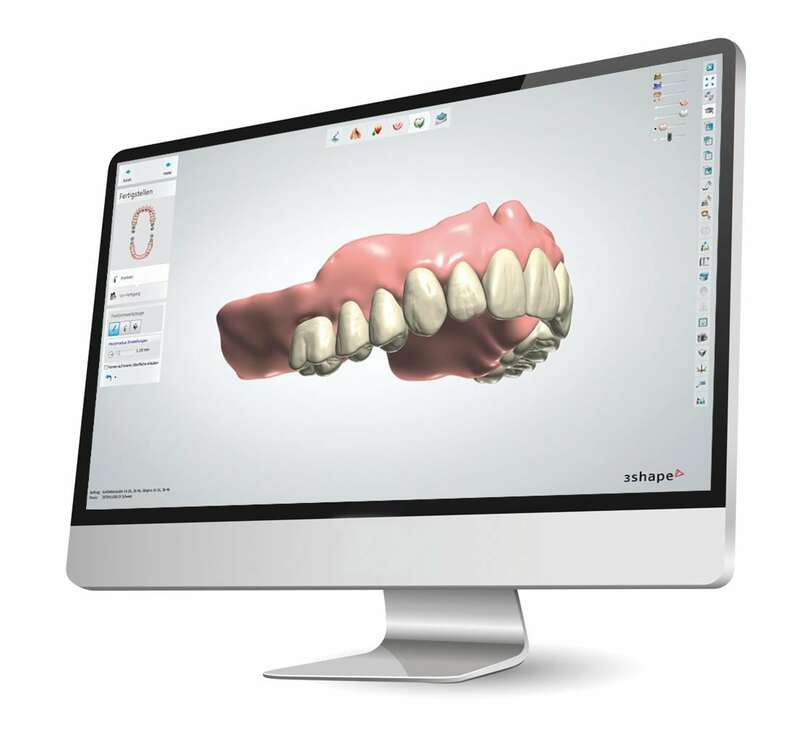 State-of-the-art materials, coupled with expert techniques, result in great-fitting, wear-resistant dentures. Comfort and aesthetics are the BPS standard. How Often Do I need to See a dentist When I Wear Dentures? An annual exam is recommended since denture teeth wear out unevenly and the bite needs to be adjusted by your dental professional for maintaining equal contact, and to get rid of any possible sores. Patients need annual exam for oral cancer screening. The risk for oral cancer increases with age, tobacco use, and frequent use of alcohol. Will I have to Use A Denture Fixitive ? Where possible we hope that a denture can be worn with out using fixatives of any type. However, sometimes where the ridge supporting the denture is very flat, some fixative is usually required. Good fitting, well designed dentures will always need the least amount of fixative and this means the minimum of mess for the patient. Why Do Dentures get stained? Dentures are in constant use and are in a hostile environment within the mouth the surfaces of the denture are constantly being attacked by acid, bacteria and various types of hot and cold food. Daily cleaning is essential to promote a healthy mouth and if dentures are not cleaned regularly tartar will build up. How to Clean my Dentures? The best way to keep your dentures clean is to first brush your denture with a medium bristled tooth brush in warm soapy water. Yes – any soap will do, but ensure you thoroughly rinse off all the soap. Once the denture has been cleaned, put them back in your mouth , and if you can keep them in overnight. Do not soak the denture in denture solution. Do not use toothpaste as it contains an abrasive agent, which when used to clean dentures wears away the acrylic, leaving microscopic scratches on the surface that retain plaque and calculus and essentially make it harder to clean your false teeth. What causes sore spots in the mouth? Sore spots can be caused by loose dentures or dentures that do not fit correctly. Other causes may be hard foods such as seeds or nuts getting under the denture, or too much clenching of the teeth.If you find you have sore spots, visit our cosmetic dentists and ask them to check the fit of your dentures. Also ensure you remove your dentures daily for thorough cleaning. What Are my Alternative Treatments? In modern dentistry there are three ways of replacing missing teeth. They are dentures, bridges or implants. A bridge is fixed to the teeth on either side of the gap, and can be used to replace one or two teeth. Bridges can be considered only if the supporting teeth are strong enough to do the extra work. 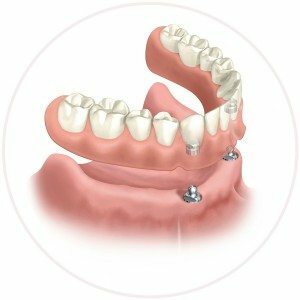 An implant is a metal screw placed into the jawbone that supports one or more crowns. These are an excellent way of replacing teeth if there is enough bone present. Dental implants work best at the front of the mouth but are less successful in smokers. 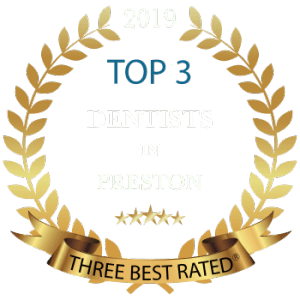 Based on our 24 years as cosmetic dentists serving patients throughout Lancashire, We can tell you that making a good denture requires a very special blend of four ingredients - science, art, experience and pride. The Science teaches you how to make a good denture so that it fits and functions properly. The Art of making a denture is a talent that enables a denture to look beautiful and natural. A denture should literally be a work of art. The Experience of crafting dentures is critical for quality, reliability and comfort. You cannot achieve consistent quality, reliability and comfort without years and years of experience.